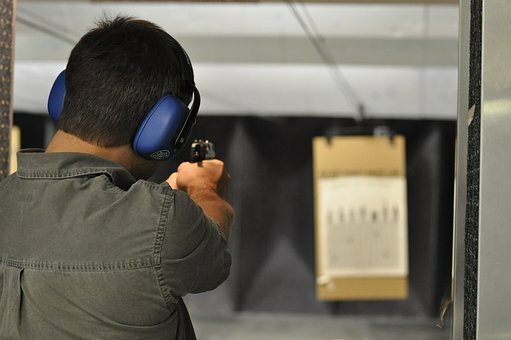 Shooting a handgun seems foreign for those who are unfamiliar with them, especially in the company of other experienced shooters. Although the fear of being inexperienced through the eyes of other marksmen can be discouraging for some people, there are some basic rules and techniques that can make it easier and fun to shoot a handgun. A surefire way to impress your friends is to practice these techniques and pick up some ammo from LAX’s newest ammo store Orange County. Four cardinal rules are necessary for your safety and those around you. First and foremost, treat every firearm as if it were loaded. Even if you are certain that it’s empty, handling it as if it’s loaded is a good safety practice. Next, keep the firearm pointed in a safe direction to minimize any inherent risks. Everyone is guilty of this at one point or another, so it’s best to point the firearm down range. Your trigger finger should be away from the trigger and trigger guard until you want to shoot. Lastly, be aware of what is within your line of fire. This isn’t a concern at a professional gun range, but any other location is a different story. Know what your target and backstop are and what lies beyond to not harm anyone or anything. The proper grip is crucial when you handle a handgun. For new handgun shooters, a two-handed grip is essential for optimum control. Your gun hand should hold the handgun high on the pistol grip, which gives you better control of the gun when it fires and recoils. Next, place your support hand on the opposite portion of the grip. All four of your support hand’s fingers must be under the trigger guard with the index finger firmly underneath it. Lastly, stand in an athletic stance. Do this with your feet and hips shoulder width apart and slightly bend your knees. This enables you to fire the handgun with balance and flexibility. Your dominant eye is necessary to properly aim in your intended direction. Make a one inch circle with your thumb and index finger, and hold it at arm’s length. Gaze upon a far away object, and center it through your circle. Slowly bring your circle towards your face, and see which eye your hand goes to. This reveals your dominant eye. Next, align the handgun’s front and rear sight notches with equal amounts of space between the sides of the front sight and so the top of the front sight aligns with the top of the rear sight. The last step is to then set your sight picture. When aiming a gun, you are naturally looking at your front and rear sight, as well as your target. The key is to have a clear focus on the front sight, not all three parts simultaneously. We ‘pull the trigger’ to fire a gun, though the correct form and terminology is different. The key is to squeeze the front of trigger to the rear, and apply increasing pressure until it fires. Squeeze it until you begin to feel pressure, but never anticipate when the gun will fire. Instead, surprise yourself to reduce the tendency of flinching before it fires from anticipation. LAX Ammo OC is a new and revolutionary ammo store Orange County bringing nearby residents a better place to buy ammo. With strict legislation on ammunition purchases, LAX Ammo responded to expand their outreach by opening another store. This enables more people to buy a great selection of quality ammo for less. Visit their new location in Huntington Beach this month, and see the difference for yourself. Like them on Facebook and follow them on Twitter and Instagram.